Lately, the work I’ve been doing with teachers and leaders has centered around the engaging and effective use of technology. In addition to developing a guide for how teachers can plan better using technology and what leaders can look for when doing walkthroughs, I have had many conversations around the transformational use of technology. Specifically, what does that look like? On its surface technology can make learning more fun and engaging. Allowing students to create podcasts or work on websites, write blog posts or use 3-D printers certainly engages students and shows them what is possible. However, what is lacking from many of the discussions is what pedagogical impacts the use of technology can have on learning. Moreover, if there isn’t a clear understanding of what types of activities promote the most student gains, then the use of technology is just flashy and in some cases, makes learning less effective. Sure, learning should be fun, but if it’s not effective then what’s the point? Many districts and teachers turn to technology specific instructional models to help their understanding of the use of technology and how to use it for more than just a digital worksheet or typing an essay. SAMR is the most popular and widely understood today. However, it tells just half the story. We also need to understand TPACK. Wait. SAMR? TPACK? What do these letters mean and why do I need both? SAMR Model-The SAMR Model was introduced by Ruben Puentedura in 2006. The model describes the life cycle of technology integration, specifically focusing on how to enhance learning through the use of technology. In its simplest form SAMR helps teachers understand how common instructional tasks can be enhanced through the use of technology. Moving a written assignment to a digital document is substitution. Sharing that digital document with a partner is augmentation. And so on. Here is a simple video to understand SAMR. 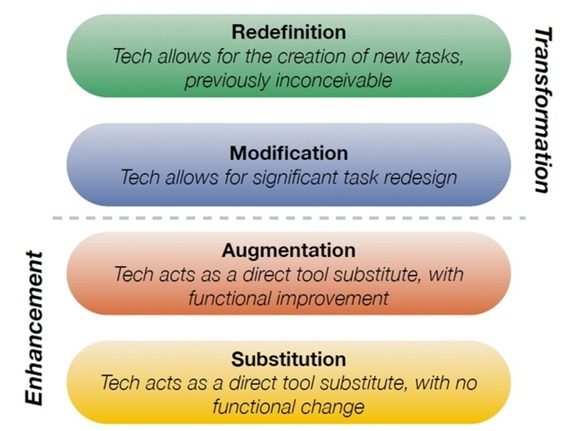 In many of the districts and classrooms I’ve worked with, SAMR is the go-to model to help teachers better understand how to bump up their lessons and make them more engaging with technology. And on the surface it makes sense. Take what teachers have traditionally done instructionally and show them how, through the use of technology, they can make that learning better. However, simply relying on SAMR doesn’t take into account pedagogy or context, prior knowledge or even an understanding of the content to be taught. SAMR is also sometimes presented as a one way “ladder.’ Teachers need to “teach above the line” in order to be engaging and effective. That is a fallacy. Some lessons might only need substitution to be effective, while others might need redefinition. Hence the reason we need something else to help guide teachers in making better decisions on the use of technology grounded in sound content understanding and pedagogical skills. 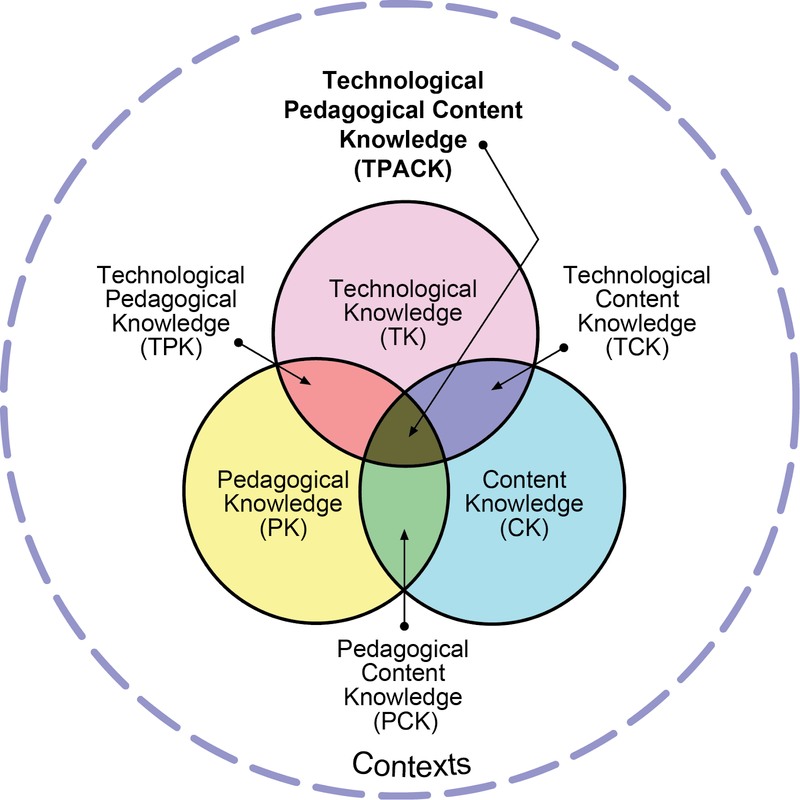 TPACK Framework-The TPACK Framework was introduced by Dr. Matthew Koehler and Dr Punya Mishra in 2009 as a way to help guide teacher understanding on the effective integration of technology in learning, focusing on 3 specific knowledges teachers must have when integrating technology. It is a firm understanding of all three of these that makes for effective learning through technology. Here is a simple video to understand TPACK. 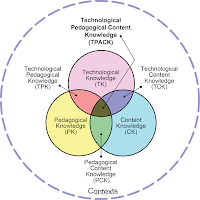 I have spent many years trying to understand and help teachers and leaders understand TPACK. In my work as a Director of Instructional Technology we focused our professional development around helping teachers better understand the pedagogical impacts that the introduction of technology can have. And if we don’t have strong pedagogy, the use of technology is going to just amplify any of those problems. Teachers must be masters of their content and their pedagogy before they can even consider using technology effectively. 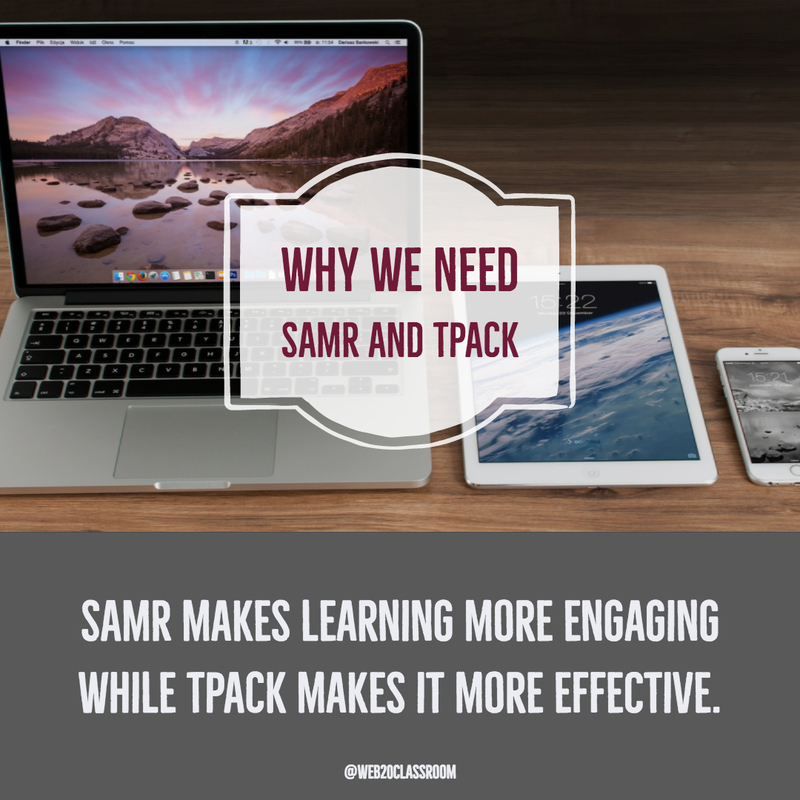 SAMR makes learning more engaging while TPACK makes it more effective. TPACK and SAMR must be in the same conversation. It simply can’t be one or the other. SAMR is what makes lessons more engaging. It shows teachers (and students) that technology can be truly transformational and allow them to do things they couldn’t do before. That’s what makes the use of technology exciting and engaging. TPACK is what makes learning more effective. 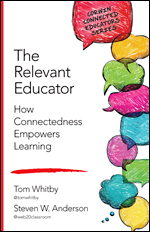 Without a clear understanding of what content is to be taught, the desired learning outcomes, the pedagogical techniques that effectively integrate technology into learning, then how can the learning be effective? Take for example a fun game that allows for a teacher to ask questions through a digital platform and students respond through an app or a website as fast as they can. 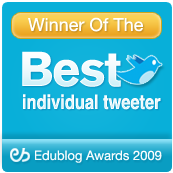 I think we can all agree that when we see students using platforms like these they are psyched. They really get into the competition to see if they can get the correct answer the fastest. It’s easy to see that is engaging. Applying the SAMR model the use of this digital tool would be a substituted (perhaps augmentated) use of formative assessment. I can do formative assessment without technology. The use of the digital tool just makes it easier for me to ask the questions. If the teacher stops at just creating the quiz, taking a moment to explain an answer and moving on, they could be seen as weak in pedagogy. The work of Hattie tells us that formative assessment, if done correctly, and over time, can be a huge mover in student learning. Simply using technology to ask questions and get kids excited, while engaging, isn’t effective. This is why we need TPACK. I want that teacher to see that the use of formative assessment is a powerful tool that does more to help the teacher than the student. And when we look at that data over time it can help guide our instructional decision making process. 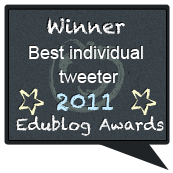 That’s strong pedagogy and a strong understanding of how these technology tools are supposed to be used. That’s TPACK. TPACK and SAMR aren’t exclusive. They both need each other. 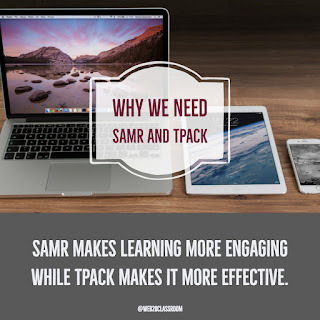 TPACK helps us focus on our pedagogy and our content, while SAMR helps push the boundaries of what is possible with truly transformational technology integration.